Situated overlooking the loch, Loch Eck Caravan Park is a stunning park with Holiday Homes for sale. 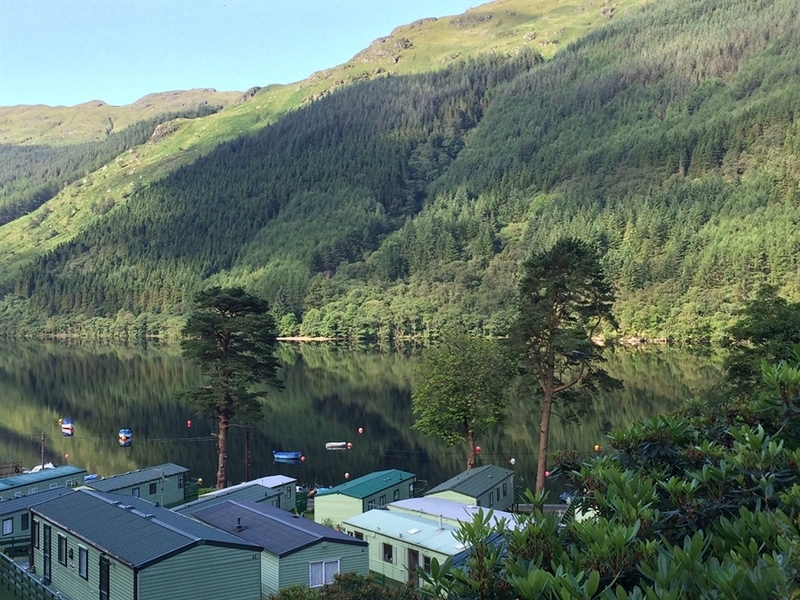 Loch Eck Caravan Park is a quaint little park which sits on an extraordinary elevated position overlooking Loch Eck and the surrounding mountains. Positioned right on the banks of the Loch owners can moor their boats just a stone’s throw from their caravan. Each and every property enjoys the stunning views and tranquil feeling of seclusion. Located adjacent to the popular Coylet Inn you can enjoy great quality food and a few drinks just a 2 minute walk away. Ideal for fresh water fishing in the Loch and walkers can enjoy an excellent choice of marked trails nearby. Owners also have free access to swimming, sauna, steamroom, Jacuzzi and gym facilities at Hunters Quay Holiday Village; just 10 minutes drive down the road!